A couple looks to bring artists together with their community-based collaborative project. Sarah Johnson only vaguely remembered Greg Cornell from St. Lawrence University, which they both graduated from in the early 80s. Yet, decades later, when she learned his band was performing in Brooklyn, she went to hear him play. Despite the interim decades, Cornell had not forgotten his classmate. “I had a crush on her in college,” he says. 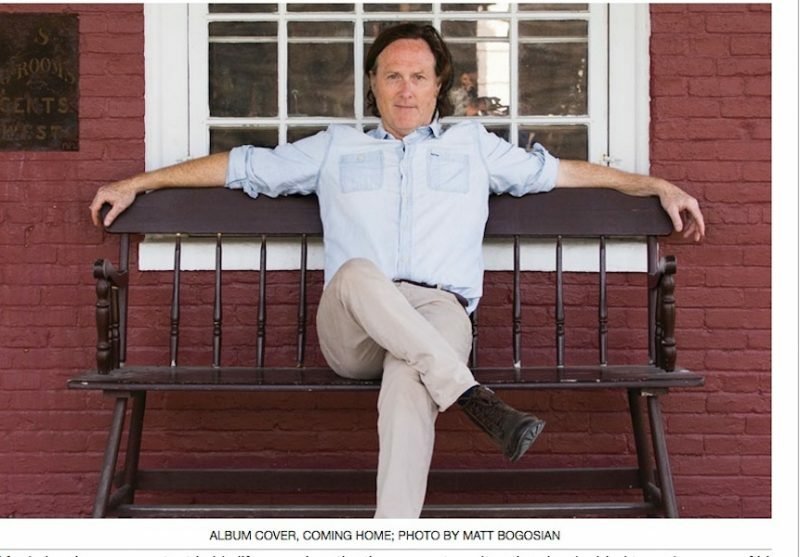 Four years have passed since that fateful reunion and two years ago the couple bought White Feather Farm in Saugerties, which features a greenhouse, orchards, a working farm, a pre-Revolutionary War house, and a reconstructed 18th century barn/performance space, known as Broken Wing Barn. After graduating college, Johnson and Cornell each took a creative journey with some unexpected turns. Following a brief stint in journalism, Cornell pursued a 15-year acting career, which he describes as appearing in “off and off-off Broadway productions,” but also playing the lead role in the world premiere of Tennessee Williams “A Chalky White Substance.” In between auditions, he supported himself with carpentry and construction work. Music has been a constant in his life, so, when the time came to quit acting, he decided to make some of his own. In 2010, he formed the acoustic roots band The Cornell Brothers, which despite its name contains no siblings, and he has since produced two albums, Coming Home and The Deep Ocean Blues. Meanwhile, Johnson, a biology major, worked as a financial analyst and started a children’s clothing company, but also actively worked on behalf of conservation. Her activism eventually led to investing in documentaries about environmental, educational, and social issues. Johnson produced documentaries, such as The Square, Chasing Ice and The Invisible War, and eventually feature films, including the Academy-Award-winning film Birdman, The Immigrant; and Blood Ties. She continues to produce films, television, and virtual reality projects through her NYC-based company Green Hummingbird Entertainment. 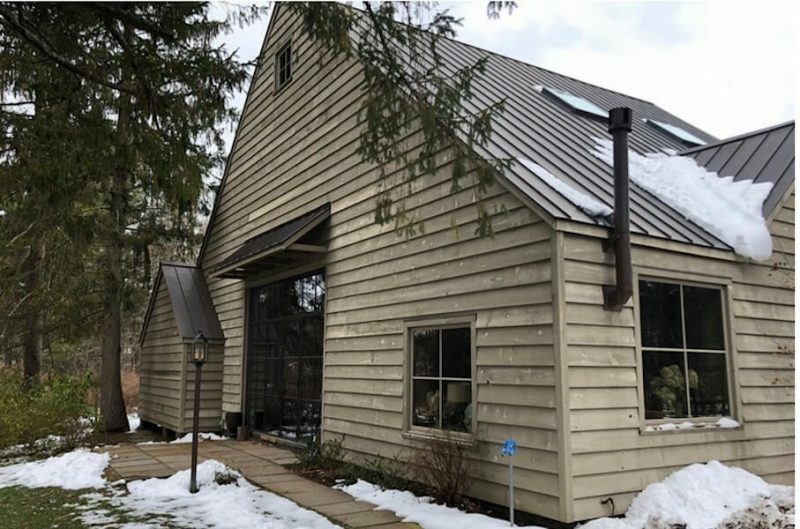 The couple lived in New York City for two years before finding a place upstate that would fulfill their mutual goals of raising food and fostering community. 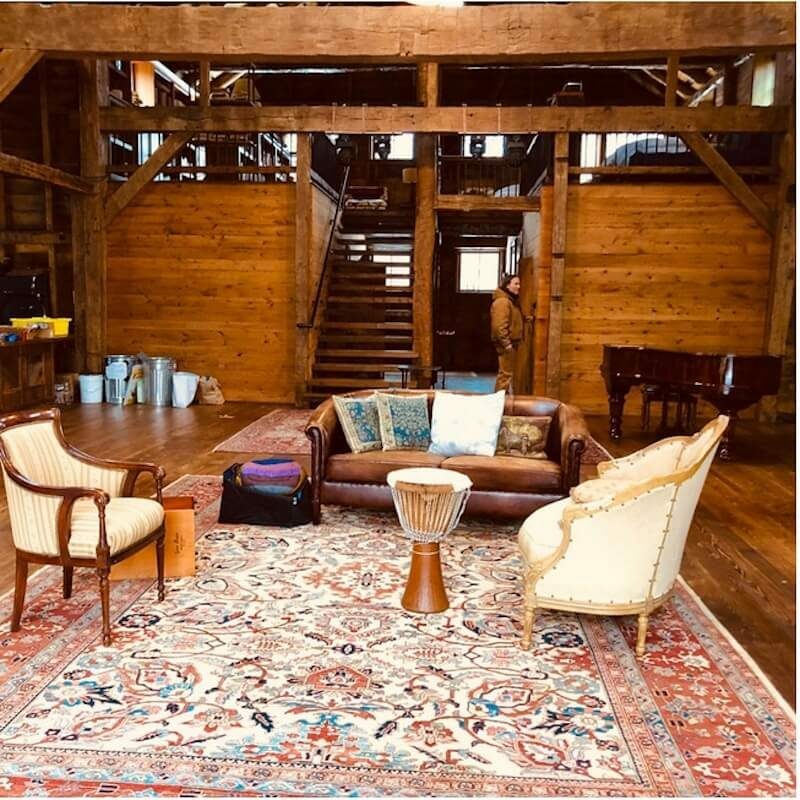 One of the selling points of their Saugerties property was the barn, which has enough square footage for a piano, performers, and an audience of about 100, as well as loft space for an office, smaller first-floor areas for food prep and dining, plus lounging areas for watching squirrels scamper in the pine trees outside. The photographer who previously owned the property, used the barn for his studio, retrofitting it with oversized glass doors. The couple named the barn Broken Wing after the song Broken Wings, which they co-wrote and appears on Cornell’s album, Coming Home. 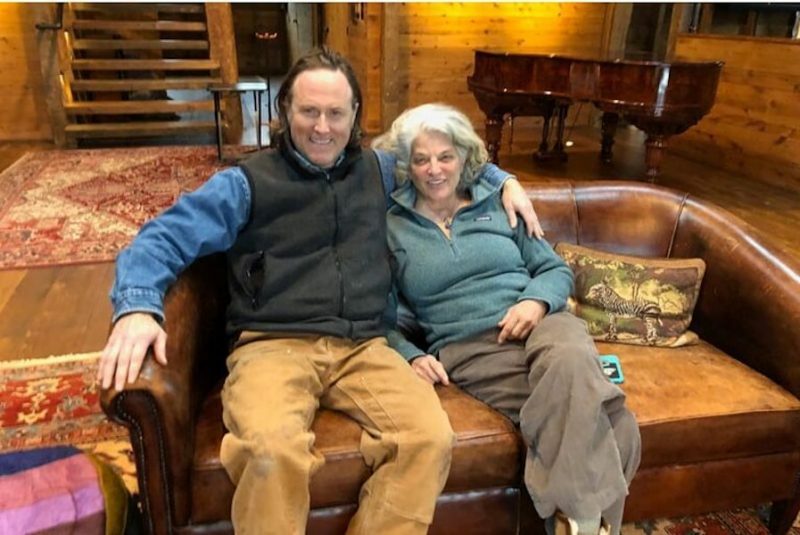 Although some might see a “broken wing” as having a negative connotation, to the couple the name evokes the idea that people can heal each other’s brokenness. 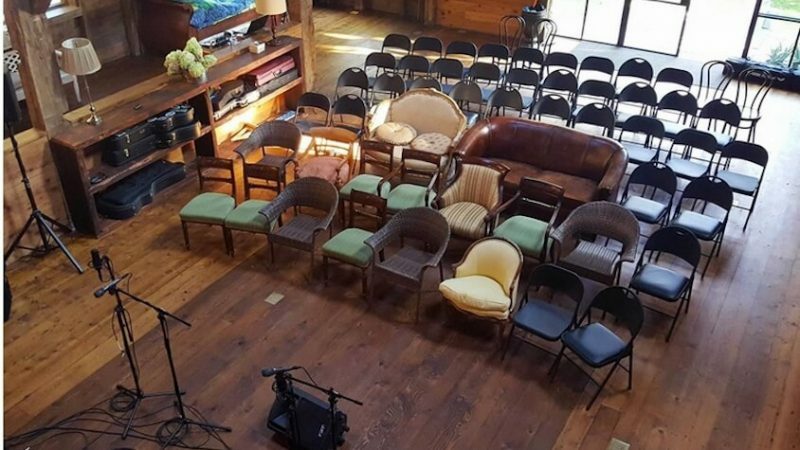 The barn stages approximately four concerts a year, with past musical guests including roots artist Mary Flower, Woodstock musician Happy Traum, the Beacon-based group Molsky’s Mountain Drifters, and The Cornell Brothers. Performances are by invitation only, although you can sign up on the barn’s FB page to be invited. The only fee is a donation, with all proceeds going to the performers. At each concert, the couple also serves food, made with vegetables, fruit, eggs, maple syrup, and honey from their own working farm, some of which is also sold at local farmers markets. While Cornell writes music, plans musical tours and concerts, plus keeps an eye on home renovations and their working farm, Johnson’s film production work often require her to travel. One of her latest films, Keely and Du, an adaption of a Pulitzer prize nominated play, won a World Cinema award at the 2018 Woodstock Film Festival and is currently seeking distribution. Through Green Hummingbird Entertainment, Johnson works to remedy the unequal role of women in the film business, helping women to land better jobs, bigger contracts and win more awards. For the past few years the company has focused on female-driven stories. “We are developing some great stuff, mostly trying to encourage our funders to use female directors, and we have mostly female writers,” says Johnson. With the concerts, the couple hopes to foster community.